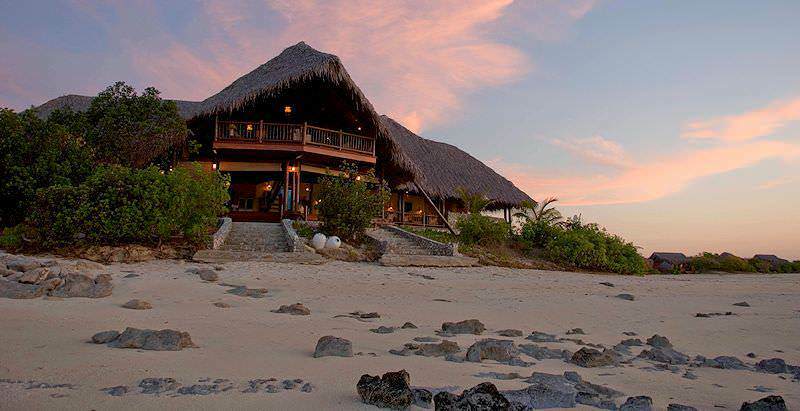 Enjoy a private island experience at Medjumbe Island Lodge in the pristine Quirimbas archipelago. 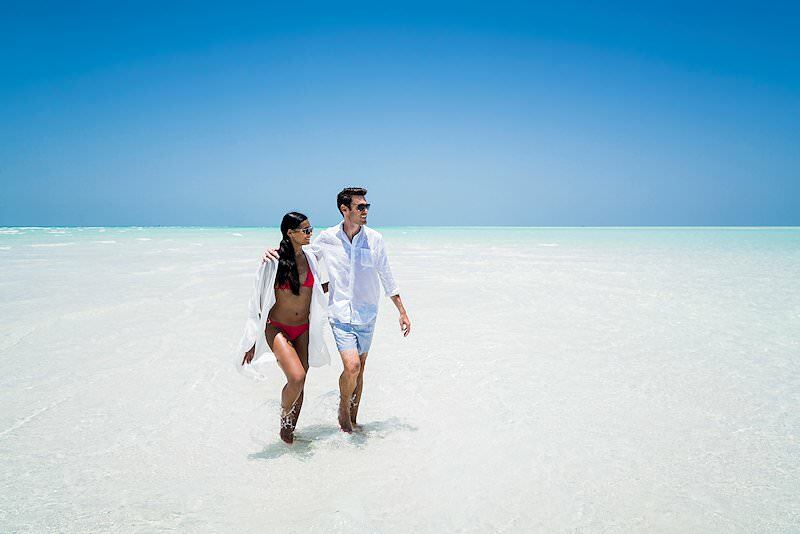 Medjumbe Island Lodge is the epitome of barefoot pleasure and one of the most luxurious tropical Island getaways in the Indian Ocean. 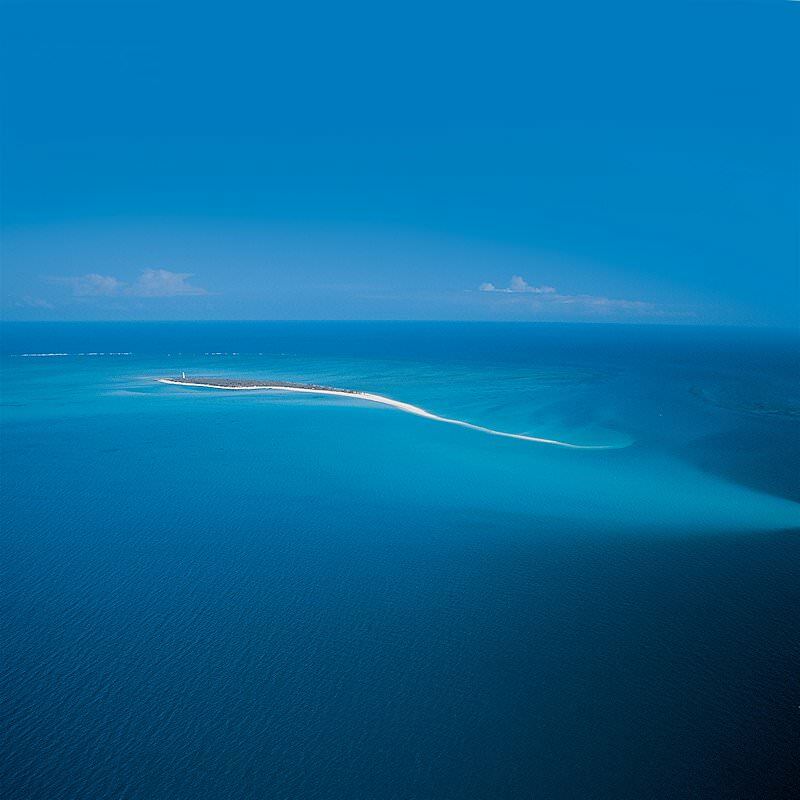 The lodge is located on a private island off the coast of Mozambique. 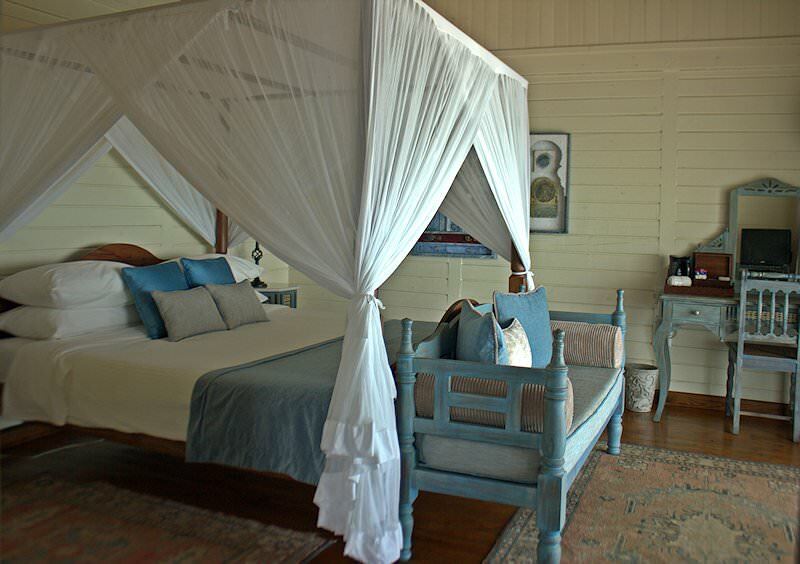 It offers privacy and breathtaking scenery for a luxury African beach holiday. 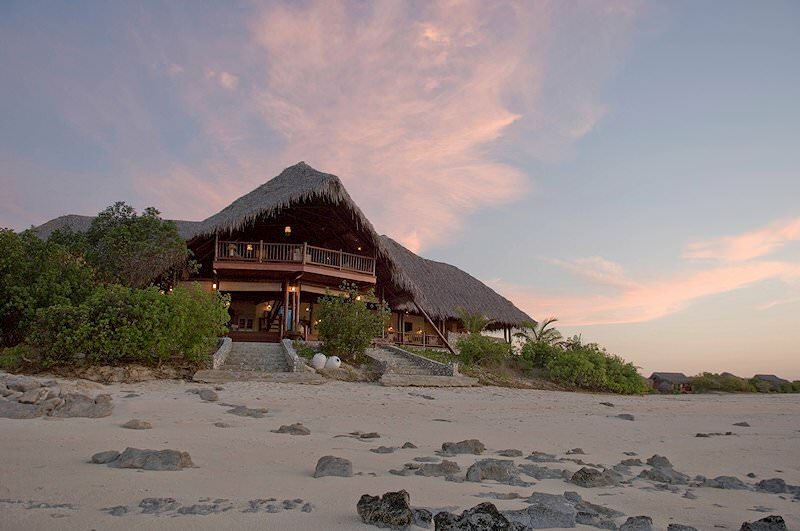 There are only 13 chalets on the island, ensuring a quiet, slow-paced Mozambique beach holiday. 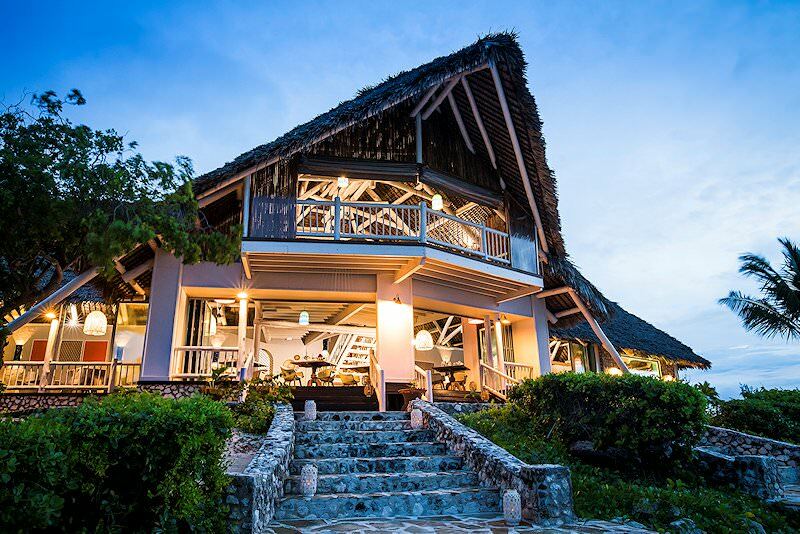 The thatched chalets are just steps away from the warm waters of the Indian Ocean. The decor, though very stylish and comfortable, is kept simple and blends well with the natural surroundings. All the chalets are en suite and each has an indoor and outdoor shower. 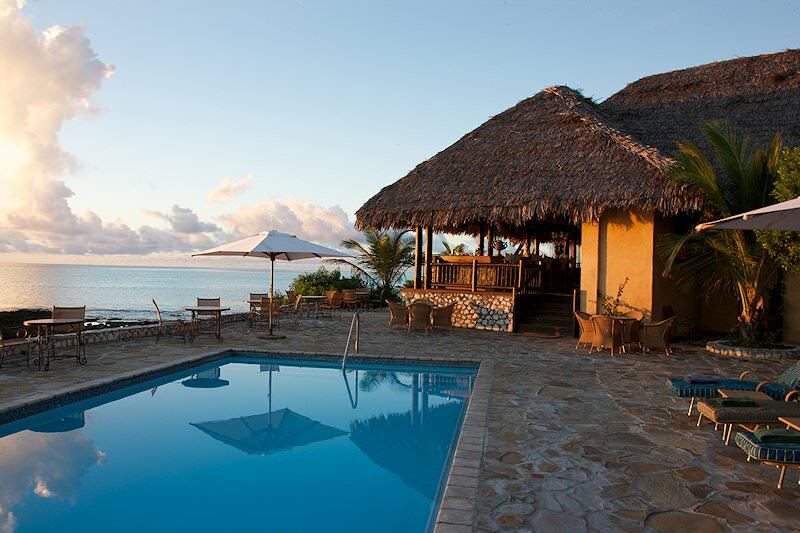 Each chalet is equipped with its own private plunge pool, with ocean views and a hammock to relax in. All the chalets have air-conditioning, ceiling fans, mini-bar fridges, coffee and tea facilities and mosquito nets. The lodge is renowned for its delicious seafood, freshly caught and prepared to perfection. There are central dining areas, decks and patios that have been designed for privacy and relaxation without losing the feeling of luxury. Relax around the pool with a spectacular view of the beautiful clear blue waters, while enjoying a cocktail served from any of the bar areas. If you really wish to keep up with the outside world during your beach holiday, use the internet in the informal lounge upstairs. The lodge offers excellent service provided by well-trained staff. Visit the Quirimbas National Park to view the virtually untouched fauna and flora in this remarkable area. This is a diver's paradise with coral-covered caves and a wide variety of tropical fish. 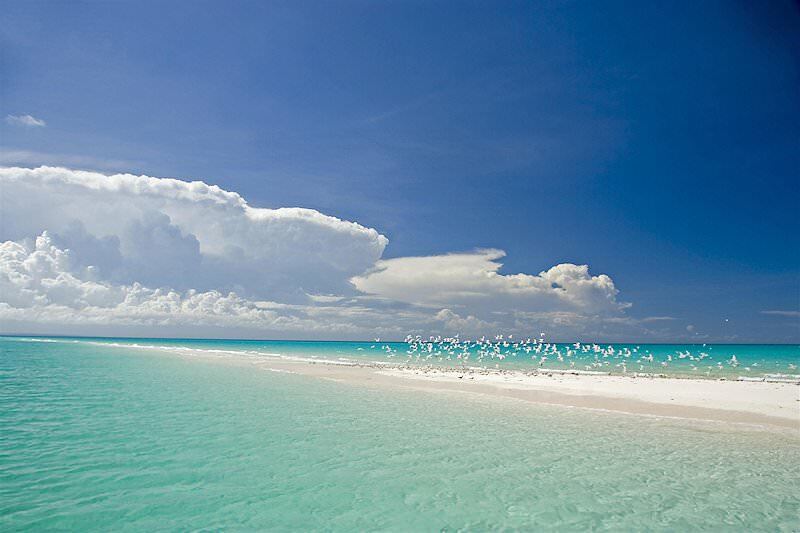 There are 11 unspoiled coral islands, stretching over 100km along the rocky coastline with vertical drops of up to 400m. For the angler there is a variety of game fish like kingfish and Spanish mackerel, which can be pursued during a deep-sea excursion. 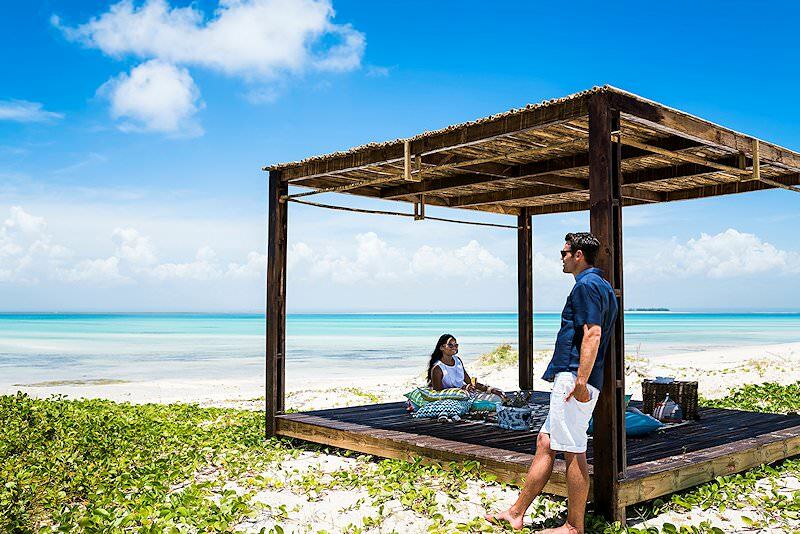 Guests travel via air to Pemba from Johannesburg’s O R Tambo International Airport, and are then chartered to Medjumbe Island Lodge’s 1km long private paradise for their luxury beach safari. 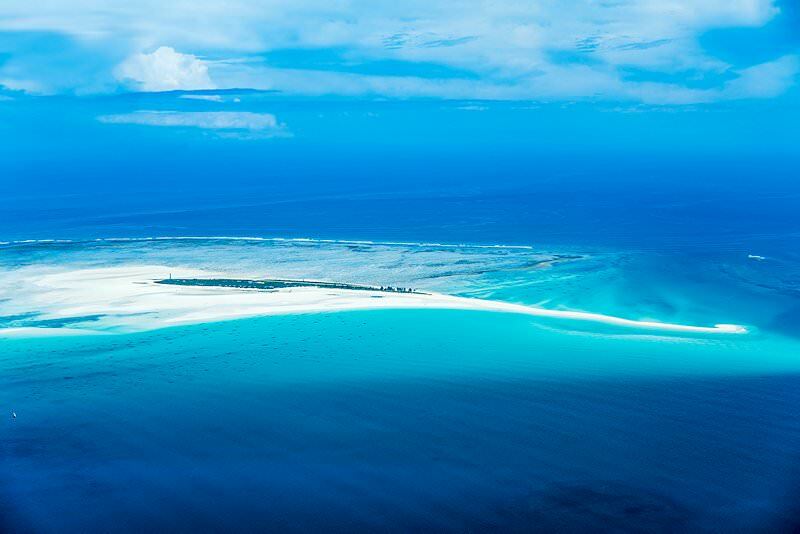 This sandy strip in the Quirimbas Archipelago offers a unique African beach holiday experience in one of the most exclusive locations in the Indian Ocean. 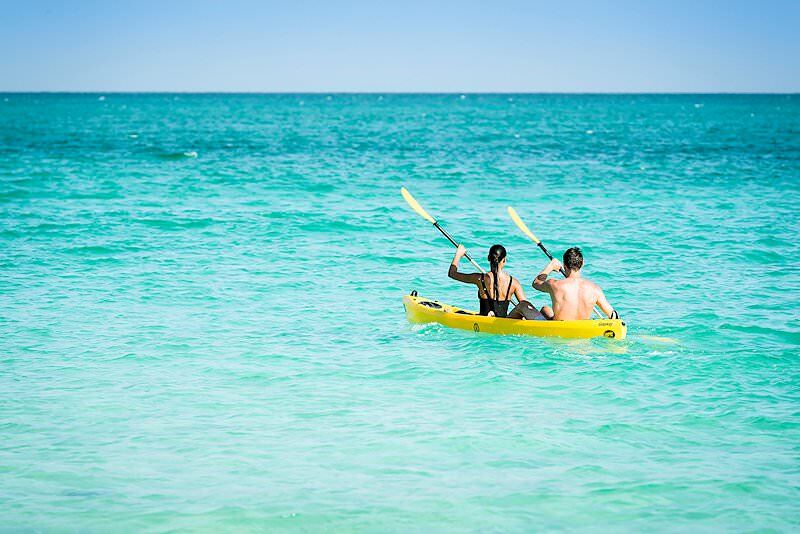 A range of water sports awaits the thrill-seeker, from snorkeling and skiing to windsurfing and sailing. Alternatively, kick back in the spa or soak up the sun on ‘your’ beach. Diving around the island is equally exclusive, as exploration of the reefs is limited to guests enjoying a Mozambique beach holiday at Medjumbe. Divers of all degrees are welcome, with a range of courses on offer. From moray eels and stingrays to reef sharks, dolphins and humpback whales, the waters teem with marine wildlife. This also makes Medjumbe an ideal deep-sea fishing location on an African beach holiday, particularly the St. Lazarus Banks, a sea mountain that attracts a plethora of game fish. They say a picture speaks a thousand words. I definitely find this to be true when looking at some of the images in the gallery above. My advice to those seeking an exclusive tropical island experience is to consider spending at least six nights at Medjumbe. It is quite costly to reach and return from the island, and a shorter stay is often not justifiable. 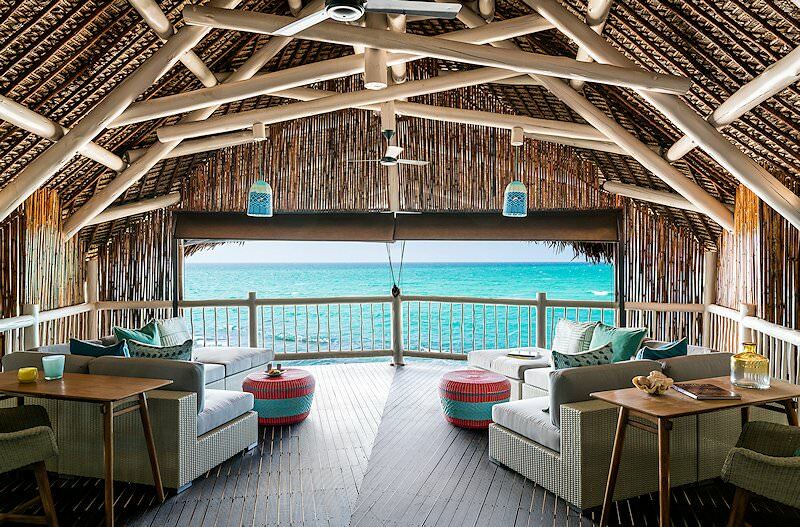 This lodge offers one of the most exclusive getaways in the Indian Ocean and is, in my opinion, a far better experience than visiting one of the large hotels found on Mauritius or in the Seychelles. South Africa is the most diverse destination on the continent, from Cape to Kruger. Botswana is a wild utopia of myriad wilderness areas and a wealth of wildlife. Namibia is known for its extraordinary desert landscapes. Our safaris in Zambia will often include a visit to the world-renowned Victoria Falls. Zimbabwe's top safari destinations are Mana Pools and Hwange National Park. 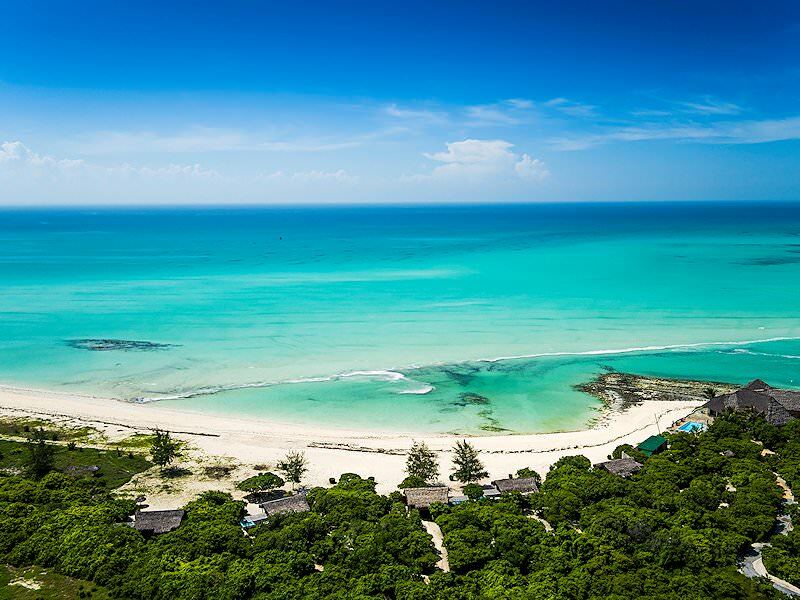 Mozambique's 1000km of coastline is replete with fine beaches. The Kruger Park offers remarkable diversity in terms of everything from the species that thrive there to the accommodations available. We offer luxury safaris to Southern Africa's most enchanting wild corners, from Etosha National Park to the Okavango Delta. The top destinations for a Big Five safari are all in South Africa and include the Greater Kruger National Park, Addo, Shamwari, Madikwe and Phinda. The most sought-after African lodges included in our packages are tucked away in stunning wilderness areas like Sabi Sand and South Luangwa.